Arbitration is an alternative dispute resolution process in which the parties to a dispute present to an independent adjudicator to resolve such dispute. Non-binding arbitration is similar to mediation in that a decision is not imposed on the parties. The primary distinction between mediation and arbitration is that, instead of helping the parties find a middle ground on which to compromise, an arbitrator remains removed from the settlement process and only offers a determination of liability and, if appropriate, damages. Many question the practicality and usefulness of appellate mediation as an alternative dispute resolution tool. Presumably, in any given case on appeal, settlement negotiations proved unsuccessful before trial, and one party has already received a favorable ruling in the case. However, the appellate mediation process can save the parties and courts considerable time and resources. Although it may appear futile to mediate a case when a clear winner and loser have already been declared, it is important to note that a party’s victory may be short lived so long as a case remains pending on appeal. Unlike other forms of mediation, appellate mediation allows the mediator more leeway in terms of offering opinions and input to the parties regarding their case; it is a specialized form of mediation, which is why there are fewer than 575 certified appellate court mediators in the state of Florida. At Rochen Mediation, we use appellate mediation to bring parties together, to educate them regarding the appellate process, and to offer them insight as to how various issues will be addressed on appeal. We educate the parties regarding the limited scope of the appellate court’s jurisdiction and standard of review, and explain to the parties that the appellate courts do not take additional evidence or retry the case on the merits. This helps to ensure that the parties do not maintain unrealistic expectations. We also explore the potential to resolve an entire dispute when there are only limited issues on appeal, thus saving time and money associated with prolonged litigation. This is of particular importance because appellate courts are not permitted to address collateral issues that are not the focus of the appeal. Divorces and separations can be messy, so many couples who are in the process of separating or divorcing use family court mediation to help resolve issues such as alimony, property division, child custody, and child support. Mediation can be either voluntary or court-ordered, and the duration of a family mediation will depend on several factors, including the number and complexity of the custody issues and the parties’ willingness to reach an agreement. Family mediation allows individuals to tailor their agreement in ways that aren’t possible if they go to trial. Unfortunately, family law courts are far too busy to devote significant time and attention to each custody case; thus, a family court judge is typically not in the position to consider the details of each particular case in the same way a mediator can. A mediator will take the time to listen to unique circumstances and develop creative solutions for parties to consider. At Rochen Mediation, our goal is to streamline the divorce process. There are 67 county courts in Florida, which have jurisdiction over civil cases in which the amount in controversy is less than $15,000.00. This includes minor disputes and small claims. At Rochen Mediation, our mediators are certified to practice in all 67 county courts. The Florida circuit courts are state courts of original jurisdiction that primarily handle civil cases in which the amount in controversy is greater than $15,000.00. At Rochen Mediation, we have certified circuit court mediators who are capable of mediating almost any type of formal lawsuit pending in the Florida circuit court system. Although our offices are located in southeast Florida, our mediators are certified in all 20 judicial circuits in Florida, and are happy to travel to any of the 20 circuits to accommodate our clients’ needs. Attempting to resolve a conflict by agreeing to voluntary participation in mediation before anyone has filed a legal action can sometimes be the most cost-effective method of resolving a conflict. 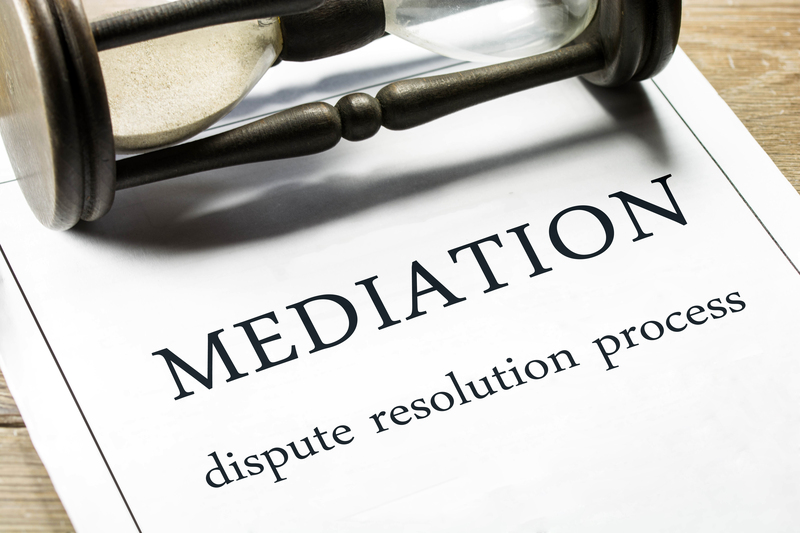 Pre-suit mediation can be used to resolve all sorts of conflicts, including civil lawsuits, small claims matters, and family law matters, including divorce and the establishment of parenting plans. One of the services we offer at Rochen Mediation is informal dispute resolution. In essence, informal dispute resolution involves helping individuals resolve conflicts and disputes of almost any kind that are not the focus of a formal legal claim. Florida has one of the most comprehensive court connected mediation programs in the country. In 1988 Florida implemented “The Mediation Alternatives to Judicial Action.” It has revised the Statute several times since then, and procedural rules, certification qualifications, ethical standards, grievance procedures, training standards, and continuing education requirements for mediators have been implemented. A mediator helps you talk with the party with whom you are having a dispute. The mediator does not make decisions for you. The mediator is a neutral and impartial guide to help you come up with possible solutions, stay on track, and clarify areas of agreement and disagreement. The mediator may help you and the other party see the conflict from each other side’s point of view. A mediator is not there to provide therapy, counseling, business or legal advice. While mediation is a good place to recognize the emotions that may be driving the dispute, the mediator is there as a neutral to help you focus on resolving your dispute. Even if you have already tried to talk it out or negotiate with the other party, a mediator can help you and the other party listen to each other and keep you focused. A mediator is there to help both sides communicate and explore possible solutions. If you and the other party get stuck, the mediator can sometimes help restart the conversation in a new way and help everyone take another step forward. Additionally, because mediation is a discussion between the parties, it can be much quicker and cost-effective than the formal trial process. Moreover, if you resolve the dispute at mediation, you are not gambling on what the judge or jury might decide. In a trial, the final decision will be made by the judge or the jury (if there is a jury). It is uncertain what decision will be made at trial, but you will be bound by that decision, regardless of whether you agree with or like the outcome of the trial. At mediation, the parties make the decisions. Ultimately, mediation saves on expense and stress. Court-ordered mediation must begin with an introduction by the mediator explaining the process and the role of the mediator. Among other things, the mediator should explain that the parties make the decisions, not the mediator. The mediator’s introduction is usually followed by an opportunity for you and the other party to describe your concerns. If your lawyer is with you at mediation, these opening remarks may be made by you, your lawyer, or both of you. After these initial proceedings, how the mediation is conducted varies. The mediator usually will meet with both parties together to discuss the issues to help you work out your differences. The mediator may also meet with each party privately. This separate meeting is called a caucus. Generally, unless you give the mediator permission to repeat what you say in caucus, the mediator is prohibited from sharing what is discussed. If you are represented by a lawyer, you and your lawyer will decide how you will interact during the mediation. Some lawyers instruct their clients not to talk during mediation; however, it is important for you to know that you are allowed to speak to the mediator at any time. Eventually, the mediation will end in one of three ways: 1) the parties reach an agreement as to some or all issues – all parties (and their lawyers, if present) must sign the agreement, which becomes enforceable by the court; 2) the mediator declares an impasse (because you, the other party, or both are unwilling to continue discussing resolution); or 3) the mediator, with the parties’ consent, continues the mediation session by adjourning for the day. If the mediator declares an impasse as to some or all issues, then you and the other party will have to go back to court to have the judge or jury (if there is one) decide your case. (Citing flcourts.org). At Rochen Mediation, we recognize the physical, emotional, and fiscal stresses associated with litigation, which is why we are unwavering in our efforts to help parties resolve disputes without having to engage in prolonged litigation. Accordingly, we offer many services focused on pretrial resolution of disputes. Please contact our office for specific rates/fee information. Rest assured that our fees are reasonable and competitive. Minimum Payment Policy: There is a 2-hour minimum for alternative dispute resolution (“ADR”) sessions scheduled for a half-day and a 4-hour minimum for ADR sessions scheduled for a full-day, which will be billed at the hourly rate set-forth in the Engagement Letter provided to you by our office. All time following the first two (2) or four (4) hours of an ADR session (depending on whether the session is scheduled for a half-day or full-day) will be charged in half-hour increments, rounded-up to each succeeding half-hour, and the attorneys for the parties will be billed for their respective portions of such additional fees subsequent to the ADR session in accordance with the terms of the Engagement Letter, unless expressly agreed-to otherwise. Payment Policy: Final payments are due within 15 days of the ADR session. A 5% late fee will be applied to payments received between 15-30 days of the ADR session. A 10% late fee will be applied to payments received between 30-45 days of the ADR session. A 15% late fee will be applied to payments received between 45-60 days of the ADR session. A 20% late fee will be applied to payments received between 60-75 days of the ADR session. A 25% late fee will be applied to payments received between 75-90 days of the ADR session, and the late fee will continue to increase by 5% each day following the first 90 days until the full payment is received by Rochen Mediation. Failure to submit payment within 90 days of the ADR session may also result in the pursuit of formal legal action. Should Rochen Mediation be forced to pursue legal action to recover fees associated with the ADR session, the jurisdiction for such action will be the county in which the ADR session took place, and Rochen Mediation will have the right to recover costs and attorneys’ fees associated with pursuing any such action, which will be charged at the hourly rate of the ADR session. Rochen Mediation is a neutral and shares no relationship with any of the parties to any ADR session; accordingly, counsel for the respective parties to an ADR session administered by Rochen Mediation are responsible for ensuring that the fees associated with their portion of the ADR session are paid promptly in accordance with this Payment Policy. Cancellation Policy: There will be a cancellation fee equal to two (2) hours of the respective mediator’s hourly rate for a half-day ADR session that is canceled with fifteen (15) business days of the scheduled ADR session. There will be a cancellation fee equal to four (4) hours of the respective mediator’s hourly rate for a full-day ADR session that is canceled with fifteen (15) business days of the scheduled ADR session. Travel Time / Travel Expense Policy Within Tri-County Area: There will be no charge for travel time or travel expenses associated with ADR sessions that take place in Miami-Dade County, Broward County, and Palm Beach County. Travel Time / Travel Expense Policy Outside Miami-Dade, Broward & Palm Beach Counties: For ADR sessions that take place outside of the tri-county area, travel time and travel expenses will be determined in consultation with the parties and/or their attorneys prior to the commencement of any such ADR session.